Do you love expressing yourself? Have you ever dreamed of acting in or helping to produce a play, television show or movie? 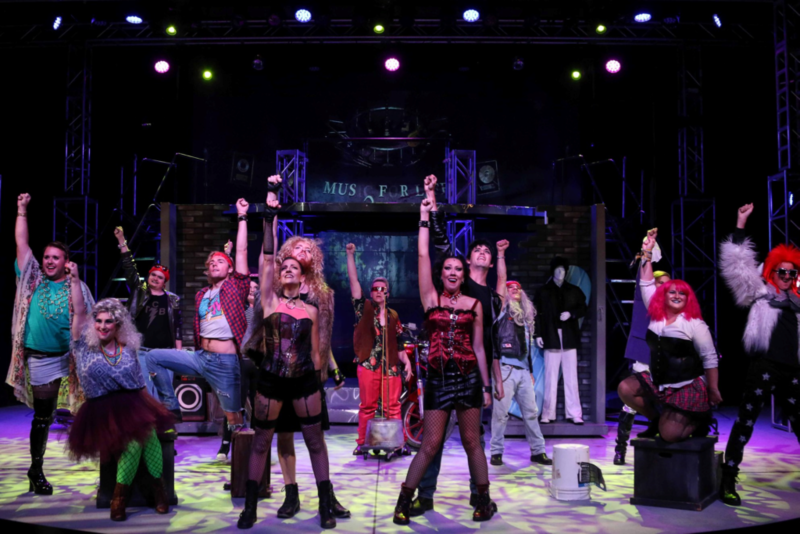 The Theatre Arts program at MWCC could be for you! The Theatre Arts degree program will prepare you for a future in performance with a strong foundation in acting, music, and dance. The major moves you through various levels of Acting, Technical Theatre and Musical Theater Dance Styles courses allowing you to grow as you learn about Theatre Arts. These classes will show you a wide array of the theatre world, allowing you to find your niche and passion whether it is onstage or behind the scenes. In addition to your class time, MWCC is home to the Theatre at the Mount regional theatre, allowing students hands-on interaction with productions throughout the school yea r. For over 40 years, Theatre at the Mount has been Central Massachusetts’ premier regional theatre presenting high-quality entertainment. TAM’s season consists of five full-scale musicals and plays, a spring children’s show and a fall touring production performed at local elementary schools. This program is an excellent foundation for transfer to theatre and music programs at four-year colleges and universities. A student completing the Theatre Arts Associate Degree in Liberal Arts and Sciences will also graduate with a strong knowledge in math, science, the humanities and the social sciences.